great story of how a neighborhood came together to help a record store in Canada! A couple of weeks ago, while Mrs. Big Beat and I were swanning about Miami Beach and Key West, there was a small but satisfying show of community spirit back here in Ottawa. Clutch have scheduled a February 28th release date for their double vinyl edition of their 2004 'Blast Tyrant' album. The 180 gram vinyl contains 16 songs and also includes six mini-posters taken straight from Blast Tyrant's "Atlas of the Invisible World." Each illustrated poster is sized (8.5" x 11") and depicts one of the various characters featured within the Blast Tyrant storyline. Conceived as the ultimate tribute to the band's legendary on-stage prowess, the set includes 12 concert films; a 40-page booklet containing rare photos and new liner notes by Blair Jackson; and all bonus features from previous releases of the DVDs in the set. Despite an ambivalent attitude to using television as a promotional medium, the Grateful Dead's creative genius and interest in filming their live shows resulted in what is now an extensive catalog of live performances on video. Included in All The Years Combine: The DVD Collection are The Grateful Dead Movie, The Closing Of Winterland; Dead Ahead; Truckin' Up To Buffalo; Ticket To New Year's; Downhill From Here; View From The Vault; View From The Vault Vol. 2; View From The Vault Vol. 3; View From The Vault Vol. 4; and So Far, a 1987 film that has previously only been available on VHS and laserdisc. In 2011 Shout! Factory released The Grateful Dead Movie on Blu-ray, in a deluxe 2-disc set that included a DVD loaded with an extensive slate of bonus features. All The Years Combine: The DVD Collection will contain the DVD version of the film as well as the accompanying DVD of bonus features. The 12 films in the box set begin with The Grateful Dead Movie, filmed in 1974 when the band hired a crew to film 5 pre-hiatus shows at San Francisco's Winterland Ballroom. The film was released in 1977 after more than 2 years of work with a team of editors led by Susan Crutcher. In the liner notes of All The Years Combine, Blair Jackson writes "The Grateful Dead Movie may be the single greatest document of the totality of the Grateful Dead experience. Even though it is really just a slice in time showing one incarnation of the group, it completely captures the group's magical essence — that joyous and strange mystical spirit that was a part of everything they did, from the Acid Tests in 1965 to the last concert at Soldier Field in Chicago in 1995, a month before Garcia's death." Filmed in the same location just a few years later, The Closing Of Winterland was filmed during the Dead's annual New Year's Eve concert in 1978, which was to be the final show at the venerable arena. 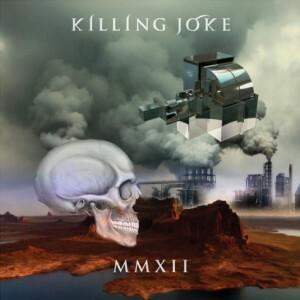 Featuring friends like Lee Oskar (War) and Matthew Kelly (Kingfish); John Cipollina (Quicksilver); Greg Errico (Santana) and author Ken Kesey with his Thunder Machine, the playing is loose but intense, the frequent peaks reliably transcendent. The sound — mixed from the 24-track master reels — is superb. The Closing Of Winterland DVD is also packed with bonus features galore, including "Winterland: A Million Memories" Documentary Film; Blues Brothers: "Soul Man" & "B Movie"; New Riders Of The Purple Sage: "Glendale Train"; "Making Of The DVD" Featurette; 2 a.m. Interview with Bill Graham by Scoop Nisker; Detailed Chronological History of Grateful Dead at Winterland; and an Alternate Camera Angle Option ("Wharf Rat," "St. Stephen" & "Good Lovin'"). Dead Ahead, recorded at Radio City Music Hall in 1980, is the next DVD in All The Years Combine. Celebrating their 15th anniversary, the Dead played 15 shows at the Warfield in San Francisco, followed by eight concerts at Radio City Music Hall. In addition to their usual two sets, the Dead opened each night with an acoustic set as well. The final concert fell on Halloween, and was simulcast as a closed-circuit pay-per-view event at 20 movie theaters across the country. Dead Ahead is comprised of songs from the final show and the previous night's show interspersed with comic bits from the Saturday Night Live comedy team of Al Franken and Tom Davis (both big Dead Heads). The award-winning 55-minute conceptual video So Far makes its maiden appearance on DVD in this box. The video contains footage from private sessions taped in Marin County, portions of the 1985 New Year's Eve concert at the Oakland Coliseum Arena, and psychedelic visual material. Of the film, Garcia said "The video is the Grateful Dead way of doing things, which turns out to be expensive, difficult and unrepeatable. If we went back to do this again, we'd come out with a different finished version. We couldn't repeat it. If you're going to do something, it's important — for me, at any rate — to shoot high, even if you miss, or even if you're accused of being pretentious. . . . We were after the idea of electronic mind-altering and consciousness-altering. And on that level, I think it's pretty successful." Ticket To New Year's, filmed at Oakland Coliseum on New Year's Eve 1987, was also a national pay-per-view telecast. Once again the Dead rose to the occasion and gave the fans in Oakland and many thousands across the country watching in their living rooms a very well-played and energetic show. Truckin' Up To Buffalo is the complete show from Rich Stadium in Buffalo on July 4, 1989, and it's a hot one. Len Dell'Amico's direction really lets us see the communication between the players when they're "on" — the subtle cues, the quick exchange of glances and smiles as they dig into a tune or jam. It's really like eavesdropping on the band from an onstage perch. Two weeks and seven shows after the Buffalo extravaganza, the Dead returned to one of their favorite Midwest haunts, Alpine Valley Music Theatre in East Troy, Wisconsin, for three shows. This scenic amphitheater has a covered seating area and a huge, steep back lawn section that the Dead had no problem filling by the late '80s. Downhill From Here, which consists of the entire July 17, 1989, Alpine show — save for three songs at the end of the first set that were swapped out for three from the first set of the concert two nights later — was one of the first commercial videos the Dead released in the years right after Garcia's death, and it still stands as one of the best. The View >From The Vault I release (recorded July 8, 1990, from the now-demolished Three Rivers Stadium in Pittsburgh) gets off to a rollicking start with "Touch Of Grey" and "Greatest Story Ever Told" and keeps grooving with the old British folk number "Jack-A-Roe." Phil does a great job singing Dylan's "Just Like Tom Thumb's Blues," and the encore is an emotional "Knockin' On Heaven's Door." Also worth noting is this disc's bonus material — from the more intimate Cardinal Stadium, in Louisville, Kentucky, two nights earlier (July 6, 1990). Two of the best numbers on View >From The Vault come from this addendum: a magnificent "Standing On The Moon," sung with tremendous passion and nuance by Garcia; and a hot, bluesy 13-minute excursion labeled "KY Jam." View From The Vault II brings us a show from (long-gone) RFK Stadium in Washington, DC, on June 14, 1991. A few months after Brent Mydland's death in the summer of '90, the Dead had returned to the road as a septet, with the keyboard slot occupied by two players — Vince Welnick and Bruce Hornsby. This DVD's bonus footage returns to RFK a year earlier for a portion of one of Brent's last shows. We get a very different-sounding "Dark Star," as well as "Victim Or The Crime," "Foolish Heart" and Phil leading the group through a reassuring and hopeful "Box Of Rain": "Believe it if you need it; if you don't, just pass it on . . . "
The show that dominates View From The Vault III took place on June 16, 1990, at Shoreline Amphitheatre in Mountain View, CA, south of San Francisco. This turned out to be the last tour for Brent Mydland, who died in late July 1990, but here the sextet is still going strong, with no hint of the calamity to come. This particular concert is revered for its the extraordinary second set, which includes solid versions of "China Cat," "I Know You Rider," "Estimated Prophet" and "Terrapin" before the band launches into one of their most interesting and exploratory jams during this era. The first set is also loaded with goodies, and bonus footage on the DVD consists of the first six songs from the October 3, 1987 concert at Shoreline, and is perhaps most notable for the N'awlins funk rave-up "Hey Pocky Way" and one of the few extant video versions of Weir's slithery "My Brother Esau." View From The Vault IV captures the complete Grateful Dead sets from two shows in a series of sold-out stadium concerts backing Bob Dylan in the summer of 1987, where the band played their own sets too. The concert from Oakland Stadium is an exceptionally lively and high-spirited affair. Two days later the tour moved to Anaheim Stadium in Southern California, and the group hit a series of completely different high notes with their set lists. Wrapping up the box set is an exclusive bonus disc containing five previously unreleased and never before seen live performances from 1987-1991, sourced from the Grateful Dead archive, as well as Backstage Pass, the 1992 documentary directed by Justin Kreutzmann, and a brand-new interview with Grateful Dead archivist David Lemieux. Jackson writes in the All The Years Combine booklet, "You can find nearly the whole history of American music spread across these discs, with music encompassing rock, folk, blues, jazz, country, ragtime, soul, funk, modern classical and avant-garde elements. Where else can you hear songs by Chuck Berry, Merle Haggard, Bob Dylan, Howlin' Wolf, Johnny Cash and Buddy Holly, unifying anthems, party rave-ups, songs of existential longing, murder ballads, cowboy tunes, love songs, primal drums and dissonant electronics all in one place? The Grateful Dead created a rich and sumptuous psychedelic patchwork quilt stitched together with magical golden thread. Sad to say, we'll never see anything quite like them come this way again — but at least we have the recorded footage, reminding us that it wasn't just a beautiful dream . . ."
Shout! Factory is a diversified entertainment company devoted to producing, uncovering and revitalizing the very best of pop culture. Founders Richard Foos, Bob Emmer and Garson Foos have spent their careers sharing their music, television and film faves with discerning consumers the world over. Shout! Factory's DVD offerings serve up classic, contemporary and cult TV series, riveting sports programs, live music, animation and documentaries in lavish packages crammed with extras. The company's audio catalogue boasts GRAMMY®-nominated boxed sets, new releases from storied artists, lovingly assembled album reissues and indispensable "best of" compilations. These riches are the result of a creative acquisitions mandate that has established the company as a hotbed of cultural preservation and commercial reinvention. With its fingers on the pulse of pop culture, Shout! Factory continues to impact the entertainment media landscape through acquisition of top quality programming for home entertainment releases. Shout! Factory is based in Santa Monica, California. For more on Shout! Factory, visit www.shoutfactory.com. The new album will hit the stores April 2, and will be called 'MMXII' or 2012 for those who don't know Roman numerals (me). The LP will be released through Spinefarm Records in both CD form and as a digital download. It will also be made available on double colored gatefold vinyl. Marshall Blonstein, president of Audio Fidelity, recently announced February 14 as the release date for the audiophile label's 180-gram virgin-vinyl reissue of Sade's DIAMOND LIFE album. Originally issued 27 years ago this month, DIAMOND LIFE launched the career of one of the most distinctive and enduring vocalists in contemporary pop. The LP will be issued in a numbered, deluxe gate-fold limited edition that will be available through online and brick-and-mortar retailers alike. On DIAMOND LIFE, Sade pioneered an alluring style that effortlessly blended ballads, soft soul music and jazz-and impressed audiences and critics the world over. Saluting the album for its sophistication and restraint, the Village Voice noted that Sade "and her associates put their project over with a fashion model's virtues: taste, concept sound. No superfluity, not even an excessive tempo." Sade's warm vocals and clever lyrics, and the band's sleek, unrushed support, rendered DIAMOND LIFE an instant classic, the first of four consecutive Top-10 albums for Sade and her group. She would subsequently score with the hit singles "The Sweetest Taboo," "Paradise" and "No Ordinary Love," and, in 1986, win a Grammy® for Best New Artist. THE PHARMACY - "Dig Your Grave" EP 7"
Seatlle’s THE PHARMACY have spent the majority of the last decade touring the US and Europe relentlessly on their infectious brand of pop garage. In between tours they’ve released a slew of singles and three critically acclaimed LPs, cementing them as the current purveyors of the pop garage genre. Frontman SCOTT YODER concocts epic pop gems that aren’t obscured by mountains of fuzz or clched lyrics—all while staying true to their lo-fi perspective on sound. Four songs in all. 2/3rds of THE PHARMACY play in the bedroom pop band FUZZY CLOAKS! Limited to 500 hand numbered copies! First 100 on color vinyl! Coroners have officially ruled that Don Cornelius's death last week was a suicide. In the wake of an autopsy conducted on Friday, the determination was made that the Soul Train host took his life with a gunshot to the head. Investigators are awaiting the results of toxicology reports, after which a final report will be issued. Cornelius, who was 75, was found dead in his home in Sherman Oaks, California, last Wednesday. His son, Tony Cornelius, issued a statement last week thanking fans and requesting privacy. "At this time, we respectfully ask that you allow our family and friends the privacy necessary to get through this difficult time," he said, in a statement to CNN. "We thank all the well-wishers and the fans who have supported the Soul Train legacy." In 1942, after topping the charts for more than two months, "Chattanooga Choo Choo" by Glenn Miller & His Orchestra became the first recording to be certified as a million-seller and was honored with a gold record, a master copy of the disc sprayed with gold lacquer by RCA as a publicity stunt. What is recognized today as a Gold Record was not initiated for another 16 years when the Recording Industry Association of America (RIAA) adopted the idea and trademarked the Gold Record. In 1958, the first Gold single was awarded to Perry Como for "Catch A Falling Star" and the first Gold album was given to Gordon McRae for the soundtrack of "Oklahoma!" In 1959, Link Wray performed his controversial instrumental "Rumble" on ABC-TV's "American Bandstand." Many radio stations had refused to play the record only because of the danger implied in its title. On this day in 1965, "You’ve Lost That Lovin’ Feelin’" by the Righteous Brothers was the #1 song. In 1967, the Beatles and producer George Martin continued work in the studio on "A Day In The Life," using a 40-piece orchestra to add the orchestral crescendos. At the Beatles' request, orchestra members arrived in full evening dress along with novelty accoutrements. One violinist wore a red clown's nose, one had a fake gorilla's paw on his bow hand and others wore funny hats with other assorted novelty items. Mick Jagger, Keith Richards, Mike Nesmith, and Donovan also attended the session. Martin later recalled that when he told some of Britain's finest musicians that they were to play twenty-four bars of cacophonous, improvised crescendo, "they all looked at me as though I were completely mad." In 1968, the Beatles closed their American fan club and business office, dismissed their American public relations people, and consolidated all business dealings within their own Apple Corps in London. 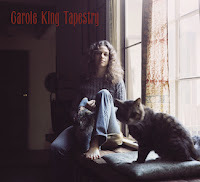 In 1971, Carole King's 'Tapestry' was released. It is one of the best-selling albums of all-time, with over 25 million copies sold worldwide In the US, it has been certified diamond by the RIAA with more than 10 million copies sold. It received four Grammy Awards in 1972, including Album of the Year. The lead single from the album, "It's Too Late"/"I Feel The Earth Move" was number 1 on the Billboard 100 for five weeks. In 2003, Tapestry was ranked number 36 on Rolling Stone magazine's list of the 500 greatest albums of all time. In 1972, David Bowie opened his Ziggy Stardust Tour in London. In 1974, at the Los Angeles Forum, Deep Purple began a 28-date North American tour. In 1977, at the CBS Whitfield Street Studio No. 3 in London, the Clash started recording their self-titled debut album which they completed in weekend sessions 17 days later. 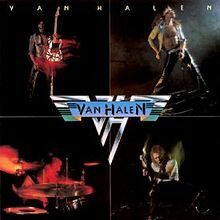 In 1978, Van Halen released their self-titled debut studio album. In 2006, readers of Guitar World magazine ranked it 7th on a list of the Greatest Guitar Albums of All Time. Van Halen sold over 10 million copies in the US alone, becoming one of the most successful debuts by a rock band. The album cover was shot at the Whisky a Go Go. The guitar pictured on the cover of the album is Edward Van Halen's famous Frankenstrat Guitar, made from a neck purchased from Boogie Bodies and a Stratocaster style body custom made by Wayne Charvel in California and assembled in Edward's parents' garage. In 2003, the album was ranked number 415 on Rolling Stone magazine's list of the 500 greatest albums of all time. In 1986, 'John Lennon: Live in New York City,' a posthumous live album by John Lennon was released in the UK. It was prepared under the supervision of his widow, Yoko Ono. Recorded on August 30, 1972 at Madison Square Garden in New York City, Lennon performed two shows, one in the afternoon and one in the evening, to raise money for children with mental challenges. The benefit concerts, billed as One to One, also featured other performers in addition to Lennon, including Stevie Wonder, Roberta Flack, Melanie Safka and Sha-Na-Na, although their performances are not included on this album, nor on the simultaneous video release. 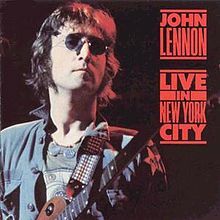 Live in New York City captures John Lennon's last full-length concert performance, coming right after the release of Some Time in New York City, which was a commercial failure in the United States. Perhaps as a result, Lennon's stage talk, while humorous, is self-deprecating and slightly nervous in tone. Backing Lennon and Ono were Elephant's Memory, who had served as Lennon and Ono's backing band on Some Time in New York City. Although the material Lennon performed was largely drawn from his three most recent albums of the period (John Lennon/Plastic Ono Band, Imagine and Some Time in New York City), he also included in the setlist his Beatles hit "Come Together" and paid tribute to Elvis Presley with "Hound Dog" before leading the audience in a singalong of "Give Peace a Chance". Expose's debut album 'Exposure' was released in 1987. In 1993, an estimated 90 million people worldwide watched ABC-TV's primetime Oprah Winfrey special that featured the first interview with Michael Jackson in 14 years, live from his Neverland Ranch. During the program Jackson claimed he suffered from Vitiligo, a skin condition that accounted for his loss of pigmentation. The singer also insisted that he'd had only two minor plastic surgery operations. In 1996, at the Mall of America in Minneapolis, country music singer Shania Twain drew a crowd of nearly 20,000 fans for an autograph session. Also in 1997, Melissa Etheridge's then-partner Julie Cypher gave birth to a daughter. It was later revealed that the baby's father was Crosby, Stills & Nash's David Crosby. In 1999, Musician magazine stopped publication after 21 years. In 2003, the Rolling Stones play a free show in Los Angeles with help from Bill Clinton to raise awareness of global warming.